You’ll get great rewards with the IHG® Rewards Club Premier Credit Card in exchange for your devoted loyalty. Stay at one of the Intercontinental Hotel Group’s properties, which include the Crowne Plaza, Holiday Inn and Hotel Indigo, and you’ll earn five points per $1 spent when you stay at IHG hotels. The welcome bonus is a pretty sweet deal, too. Earn 80,000 bonus points after you spend $2,000 on purchases in the first three months; plus, earn another 40,000 points after you spend a total of $5,000 on your new card in the first six months. Earn up to 120,000 bonus points – 80,000 bonus points after spending $2,000 in the first three months and another 40,000 points after you spend a total of $5,000 in the first six months. Free hotel night every year after your account anniversary. Earn two points per $1 spent on purchases at gas stations, grocery stores and restaurants. Receive up to a $100 reimbursement every four years for your Global Entry or TSA Pre✓® application reimbursement. Earn up to 120,000 bonus miles. Earn 80,000 miles after spending $2,000 in the first three months and earn another 40,000 miles after spending a total of $5,000 in the first six months. Each time you redeem your rewards for a four-night minimum stay you'll receive your fourth night free. A hotel card that offers bonus points on purchases outside of those at the branded hotel is always a nice perk. While you do earn two points per $1 at gas stations, grocery stores and restaurants, this card is really best for people who intend to use it often for IHG stays. Otherwise, you're likely better off with a more general rewards card. Let’s start with the basics: a good size chunk of bonus points for every $1 spent with a particular hotel brand is a pretty standard features of hotel credit cards. Most competitor hotel groups have similar points structures. Same goes for the annual free night in one of IHG®’s hotels. These incentives are the price of admission for any hotel that wants to be competitive in the credit card market. However, a couple of things differentiate the IHG® Rewards Club Premier Credit Card. In particular, that free night when you redeem your rewards for a minimum four-night stay, the Global Entry or TSA Pre✓® fee credit, some bonus points for everyday purchases and the Platinum Elite Status offered to cardholders. Let’s take a closer look. When IHG® Rewards Club Premier Credit Card cardholders redeem points for at least a four-night stay, you’ll only be docked points for three of those nights and your fourth night will be free. That’s a highly unusual perk – most hotel rewards cards offer you a once-annually free night reward, but this card goes a step further and offers you that annual free night as well as a free night whenever you redeem for at least four nights in a row. The free reward night opportunities should more than offset the card’s $89 annual fee. Further helping you offset the fee is the once-every-four-years reimbursement of up to $100 for your Global Entry or TSA Pre✓® application fee – a perk usually reserved for cards with much higher annual fees. We certainly shouldn’t ignore the obvious rewards perks with this card: Earn 10 points per $1 spent with IHG hotels; two points per $1 at gas stations, grocery stores and restaurants; and one point per $1 for all your other purchases. Lastly, and worth noting, is IHG® Rewards Club Premier Credit Card cardholders receive an automatic upgrade to IHG® Rewards Club Platinum Elite status. Typically, you’d have to stay at qualifying hotels a minimum of 40 nights a year to get this status – which is really only feasible for perpetually jetlagged business travelers. Some of the perks of platinum include extended check-out, no blackout dates on reward nights, complimentary room upgrades and guaranteed room availability. But the best perk is 50 percent bonus earnings on top of your base points. Combine this offer with 10 points for every $1 spent at IHG® hotels, and you can quickly accumulate 3,750 points with just one $250-a-night stay at the Intercontinental. The biggest rewards with the IHG® Rewards Club Premier Credit Card come when you stay at IHG® hotels. For everything else, the rewards rate is on the low side: two points per $1 spent on purchases at gas stations, grocery stores and restaurants and one point for every $1 spent on all other purchases is comparable to other rewards cards, but you can do better than that if you don’t plan to use your rewards for IHG stays. Furthermore, the interest rate on this card is on the higher side, so if you anticipate needing to carry a balance from time to time, you’ll likely want to look to another card as the interest alone would eat up any rewards you earn using the card. Earn 10 points per $1 spent when you stay at an IHG hotel. Earn 2 points per $1 spent on purchases at gas stations, grocery stores, and restaurants. Earn 1 point per $1 spent on all other purchases. The Capital One® Venture® Rewards Credit Card isn’t a hotel-branded card but it does give you the chance to earn rewards that you can redeem for hotel stays – and any number of other travel-related purchases for that matter. What you’ll get with the Capital One® Venture® Rewards Credit Card is the opportunity to earn a flat two miles per $1 spent on every purchase and redemption options with any airline or hotel as well as any number of other travel-related purchases. What you WON’T get is the perks that go along with loyalty, like free annual night stays or a free night when you redeem a certain amount of rewards. Capital One® Venture® Rewards Credit Card cardholders do enjoy no foreign transaction fees and a similar annual fee at $95, but that’s waived for the first year. They also can earn 50,000 bonus miles, worth $500 in travel, after spending $3,000 in the first three months. You can fly any airline, stay at any hotel, anytime and not have to worry about blackout dates. Plus, you can transfer your miles to over 12 leading travel loyalty programs. And, recently, Capital One announced that Capital One® Venture® Rewards Credit Card cardholders are also eligible for that Global Entry or TSA Pre✓® application fee reimbursement. Ultimately, you’ll need to decide whether your loyalty to the IHG brand is strong enough that you’ll be satisfied earning the bulk of your rewards through purchases with that hotel group and redeeming your rewards for stays there as well. 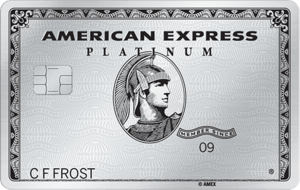 Right now the Hilton Honors American Express Ascend Card is offering a monster welcome offer opportunity: 125,000 bonus points after spending $2,000 in the first three months. Terms apply. See Rates and Fees. One drawback with the Hilton card is that you’ll need to spend at least $15,000 on your card each calendar year to earn a weekend night stay reward, which does give the IHG card an advantage over this card in that there's no spending threshold to earn the reward night on the IHG card. On an ongoing basis, you’ll earn 12 points per $1 spent at participating Hilton properties with the Hilton Honors American Express Ascend Card; six points per $1 spent at U.S. restaurants, U.S. gas stations and U.S. restaurants; and three points per $1 on all your other purchases. That means you stand to earn substantially more points on your everyday purchases with the Hilton card than you do with the IHG card. Cardholders also enjoy 10 complimentary airport lounge visits each year with this card, a rare perk on a card with only a $95 annual fee. Once again, this decision will come down to loyalty – do you have it to Hilton or to IHG? All other perks aside, that question should be the first you answer. This is an interesting comparison because, while the Chase Sapphire Preferred® Card is a general travel rewards card, you can transfer your Ultimate Rewards® points earned with the card to your IHG Rewards Club and redeem them directly through the hotel’s loyalty program. In other words, both cards could technically help you earn discounted stays at IHG properties; it’s just that the Chase Sapphire Preferred® Card offers you the flexibility to use your points for lots of other discounted or "free" travel as well. 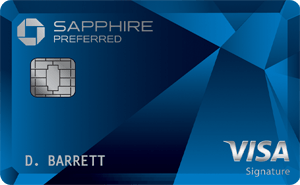 New Chase Sapphire Preferred® Card members can earn 60,000 bonus points after spending $4,000 in the first three months of card membership. You could choose to transfer all of those points to one of several Ultimate Rewards® airline or hotel partners (including IHG, as mentioned above) or you could redeem them directly through the Ultimate Rewards® portal where your points are worth 25 percent more. That means the bonus is worth as much as $750 in travel. All that said, you’re still dealing with a general travel rewards card and not a brand-specific card, so you will miss out on those loyalty perks offered by the IHG® Rewards Club Premier Credit Card. These cards charge similar annual fees: $95 for the Chase Sapphire Preferred® Card and $89 for the IHG® Rewards Club Premier Credit Card. Loyal customers of IHG® and business travelers who only stay at its hotels every time they travel should definitely consider the IHG® Rewards Club Premier Credit Card. The perks that come with Platinum Elite Status, the free night opportunities, the hefty welcome bonus and the ongoing rewards earning should entice customers who are looking for a hotel they can call a home away from home. To see the rates and fees for the Hilton Honors American Express Ascend Card please visit the following link: See Rates and Fees.